Fifi was thin, her coat was dull and dirty, and she suffered from painful, untreated arthritis. Every step was a struggle. 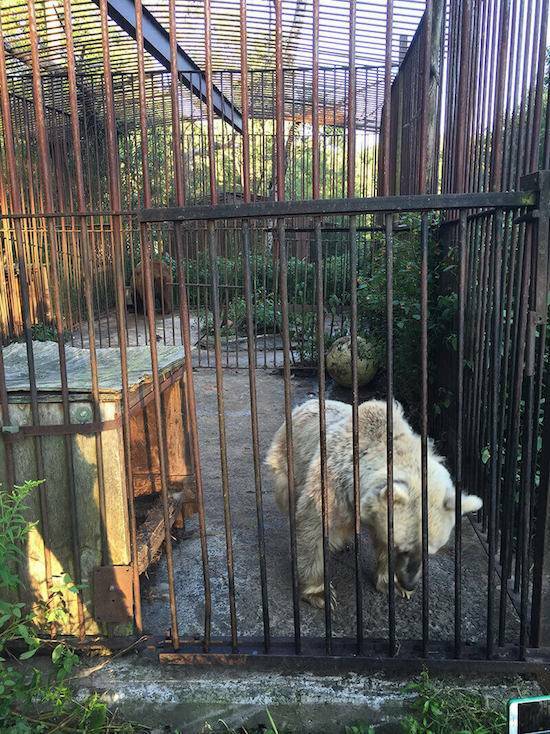 In July 2015, PETA and The Wild Animal Sanctuary rescued her. She was transported to the Colorado facility, where she finally had the care and the vast habitat that she deserved. After just five months at the sanctuary, Fifi's body finally matches her big and beautiful personality. She is healthy, her coat is full, and her legs are getting stronger every day. And this year, for the first time in her long life, Fifi is hibernating in her new, comfy den.